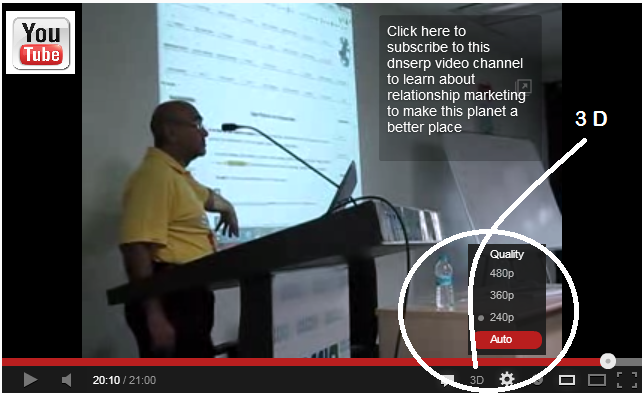 You can select 3D viewing in the Quality settings - click on the gear icon - on the YouTube player, put on your 3D glasses (e.g. Red / Cyan) , and see YouTube video in Three Dimension. "Achievement seems to be connected with action. Successful people keep moving. They make mistakes, but they do not quit" - Conrad Hilton. Here is an illustrative example of my video, converted to 3 D.
"We do not have a choice on whether we do social media; the question first is how well we learn and then do it! Plan a marketing strategy before embarking on social media marketing". Top Digital Platforms were discussed and demonstrated, such as LinkedIn, Pinterest, Facebook, Twitter, etc. Participants were professionals, business people, IT professionals. Encouraging feedback was received from participants. Let us know if you have tried the 3D option in the comment box below. Great blog, this could be the best blog I ever visited thi month. Never stop to write something useful dude!. Thank you for your encouraging comment, Rihcard.